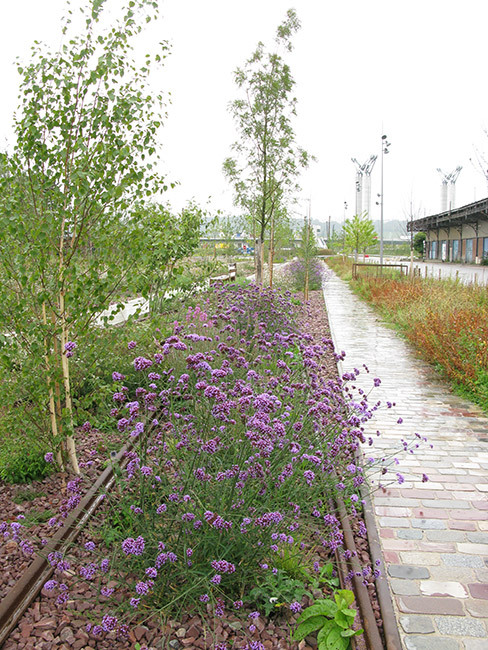 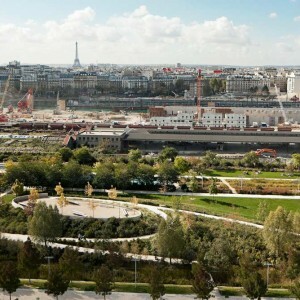 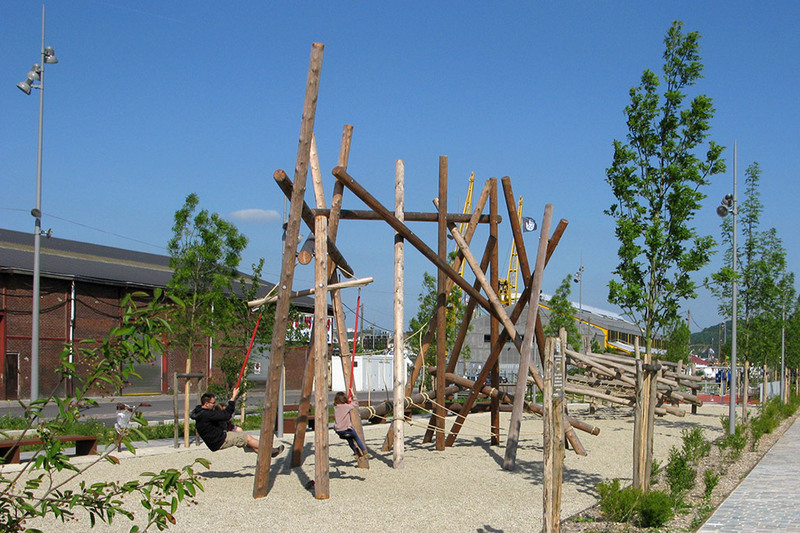 Atelier Jacqueline Osty & associés: The Flaubert eco-district is developed on a former port and industrial wasteland. 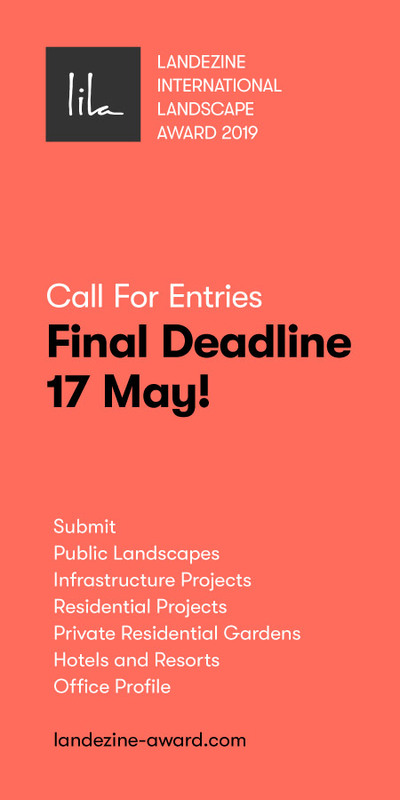 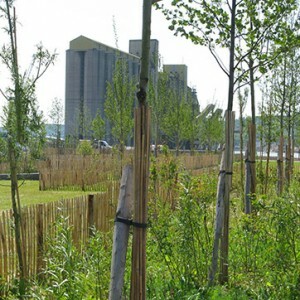 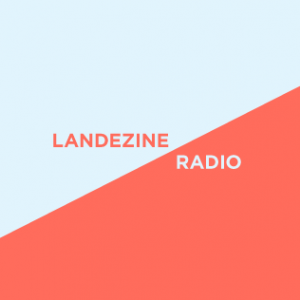 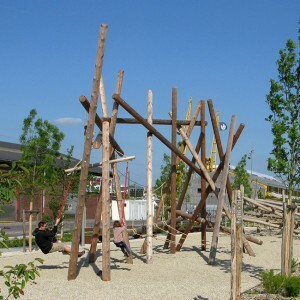 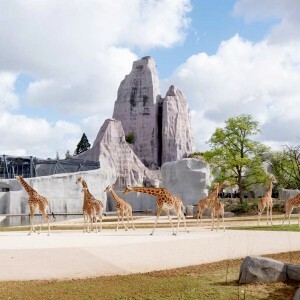 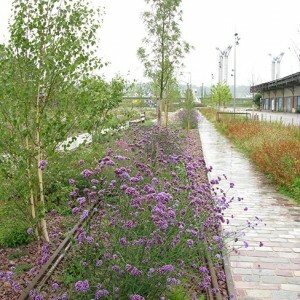 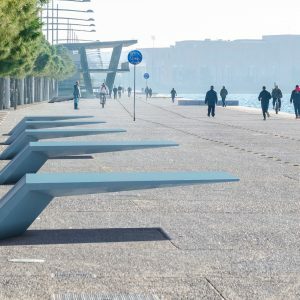 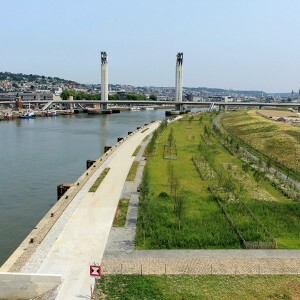 This is the opportunity to create on site a blue and green structuring framework in connection with the Seine River and more generally in order to “restore nature in the city”. 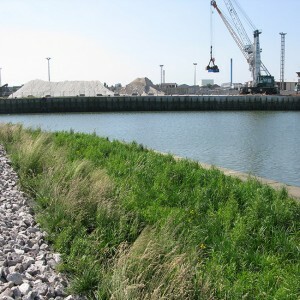 The implementation of this type of operation can’t be made without a strong approach in terms of impact on the environment with polluted soil on the existing site. 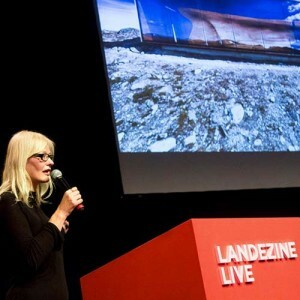 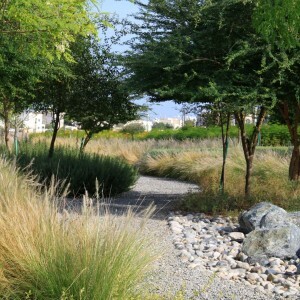 More than preserving the biodiversity, the issue here is to create it. 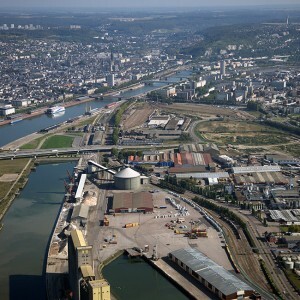 The development of the banks of the Seine River in Rouen is the first transformation of the district and foreshadows the site mutation. 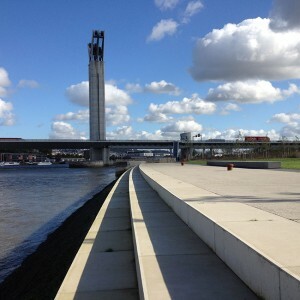 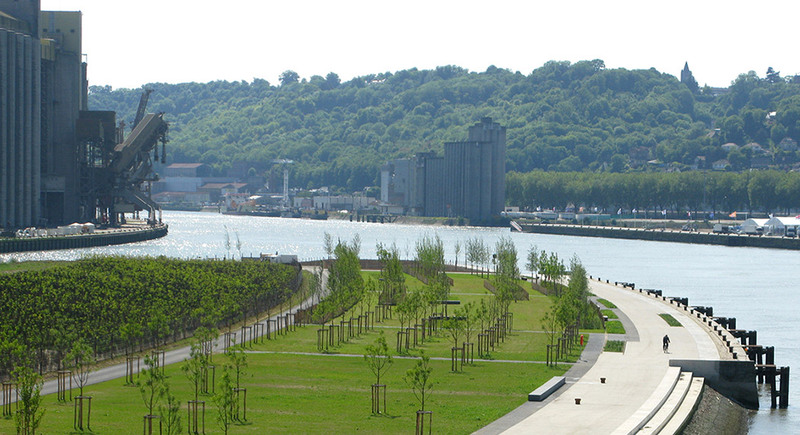 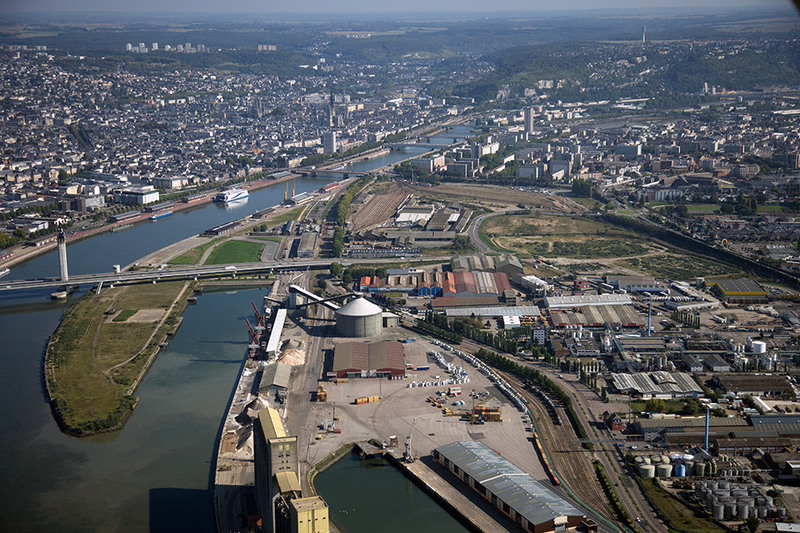 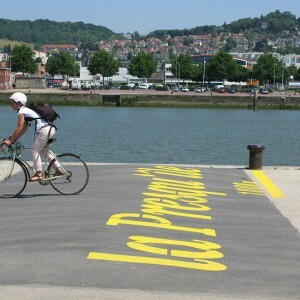 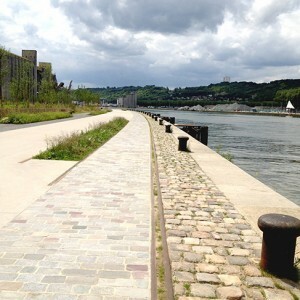 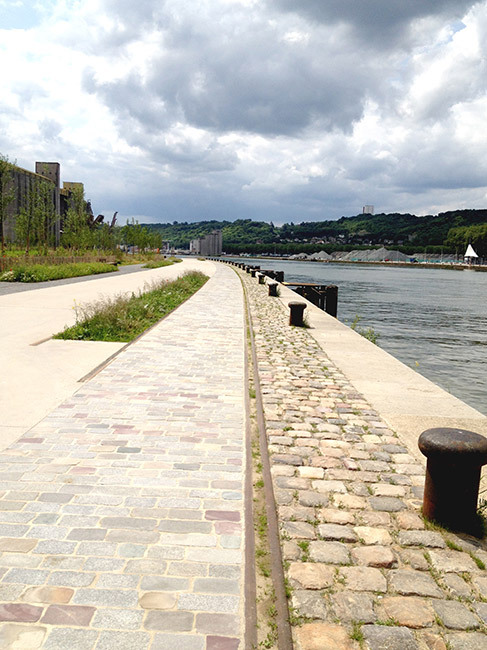 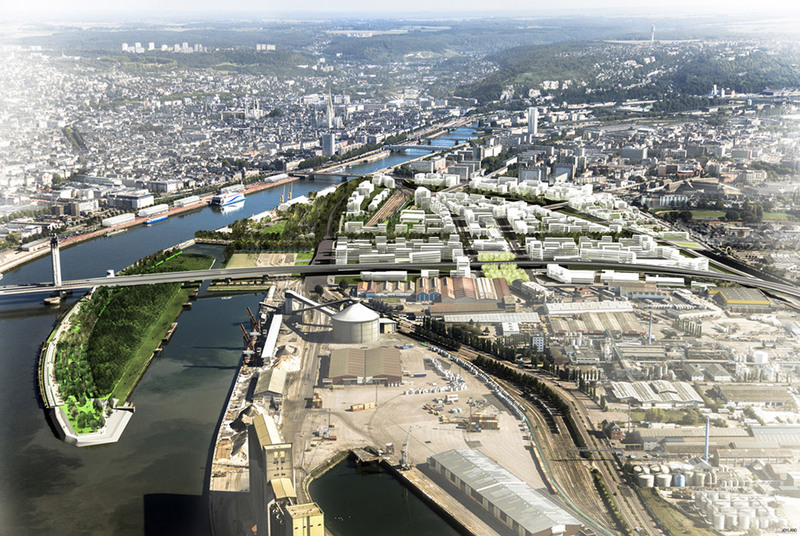 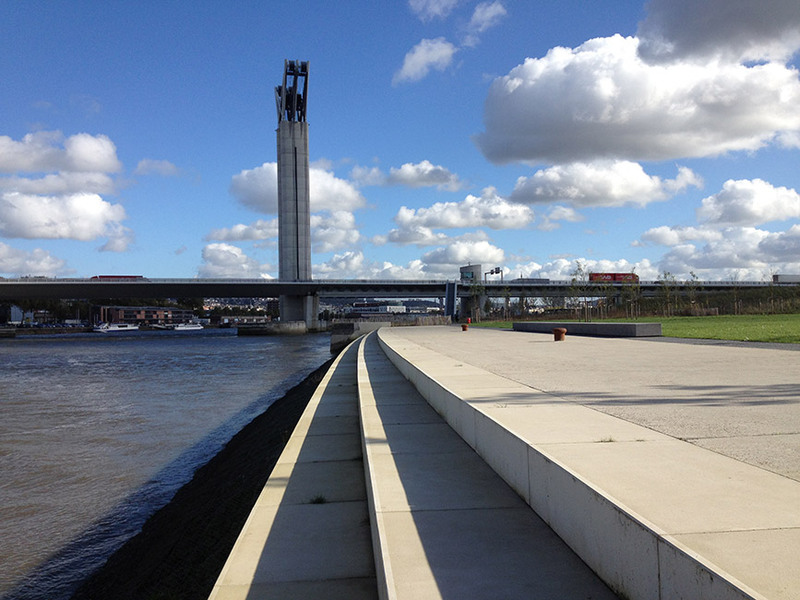 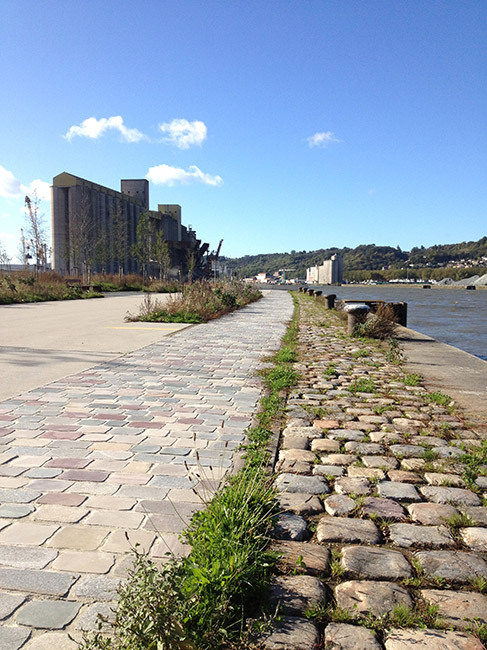 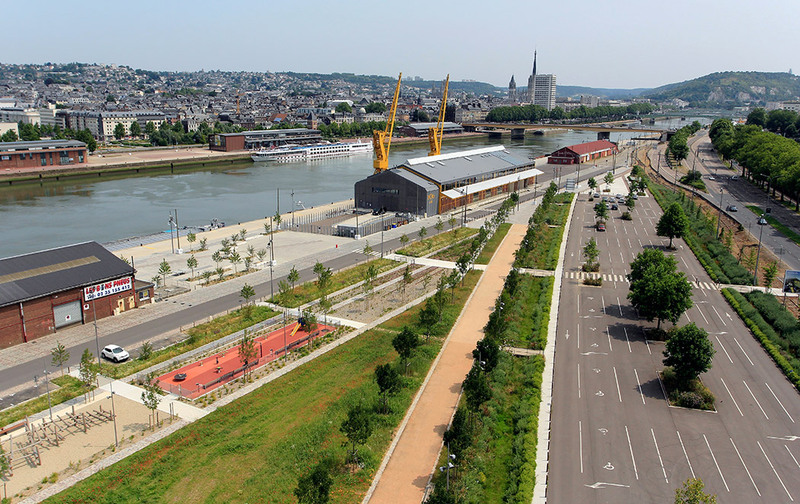 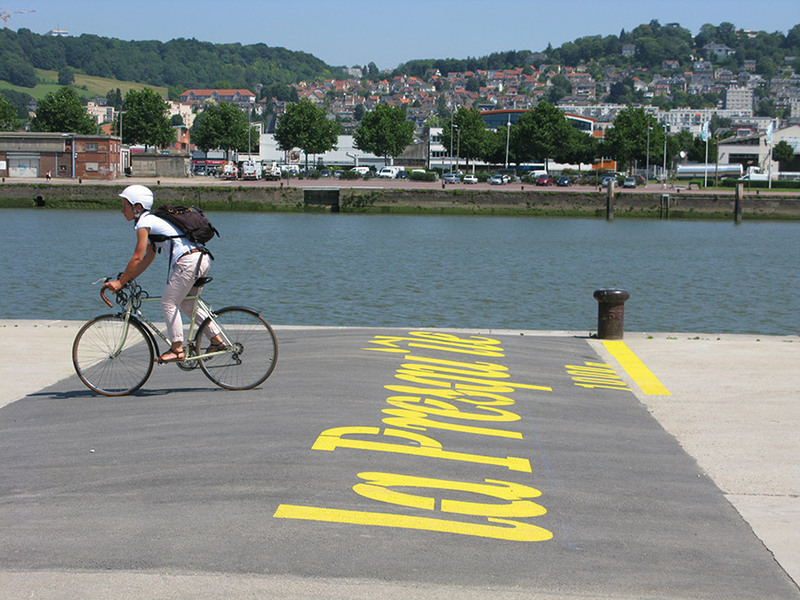 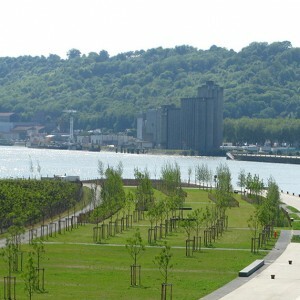 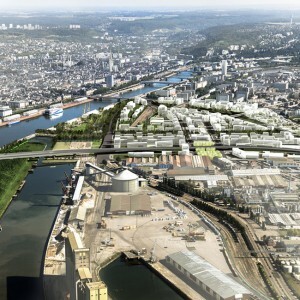 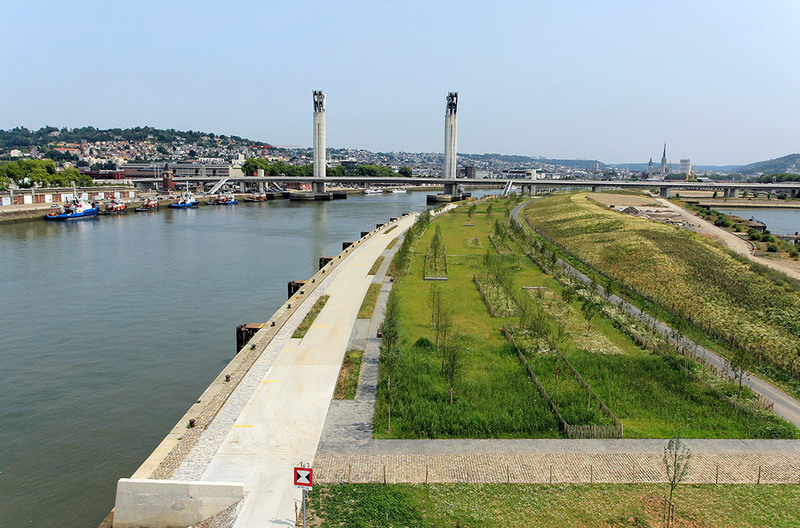 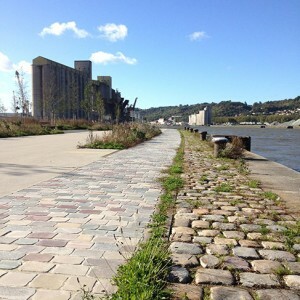 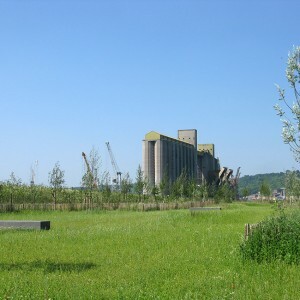 The project of the Rollet peninsula is situated at the west end of Rouen’s quays redevelopment. 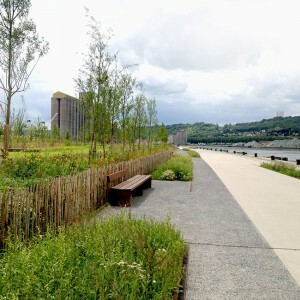 This stretch of 2 kilometres is a linear park combining the ecological dimension of the site and the multiplication of the uses resulting from the densification of the future district. 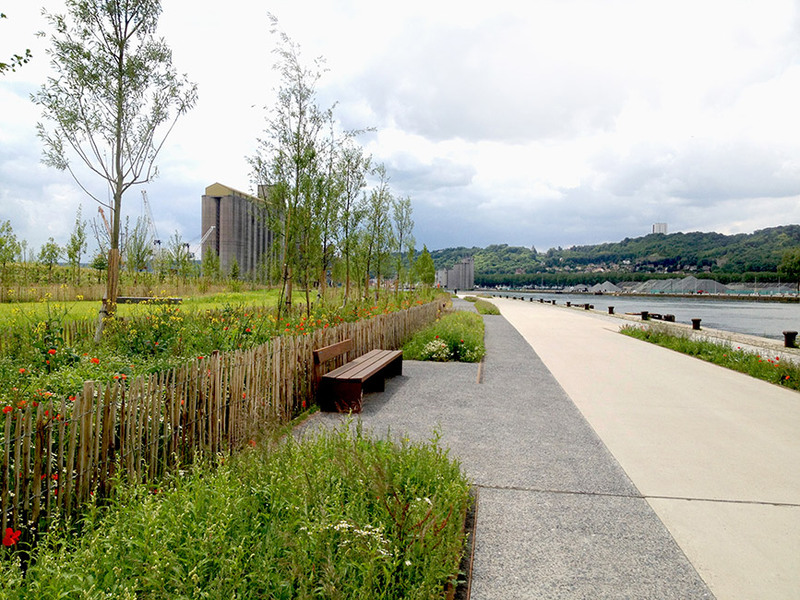 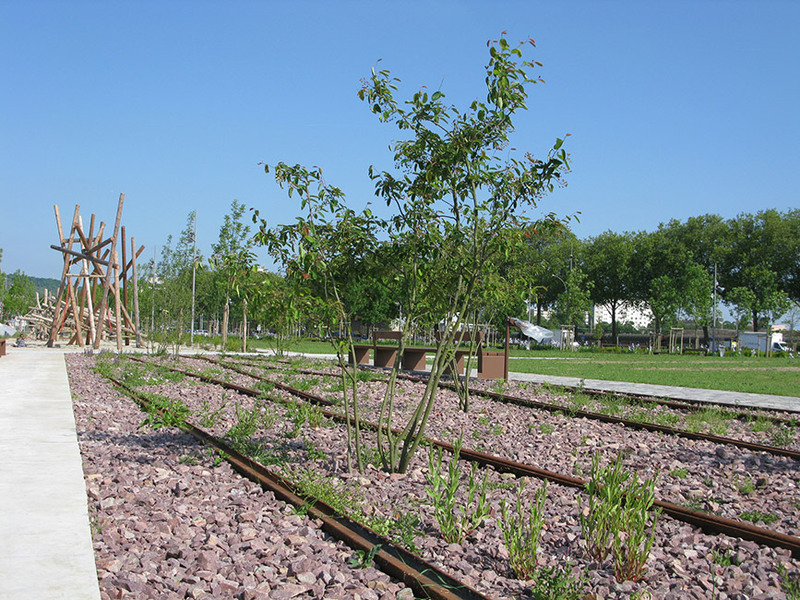 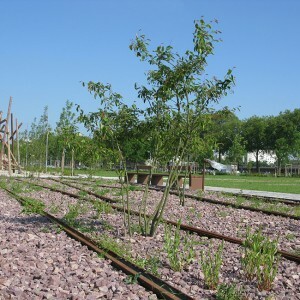 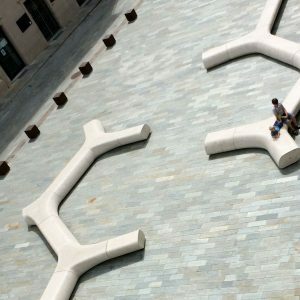 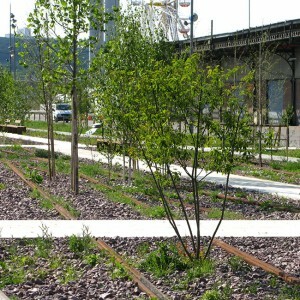 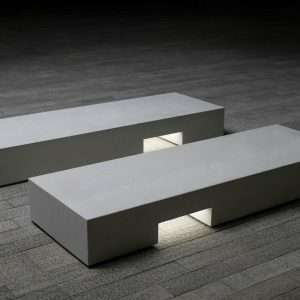 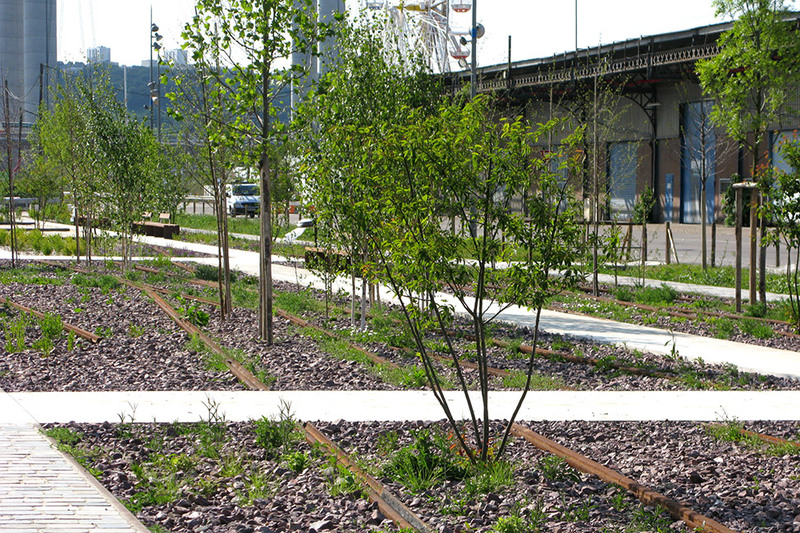 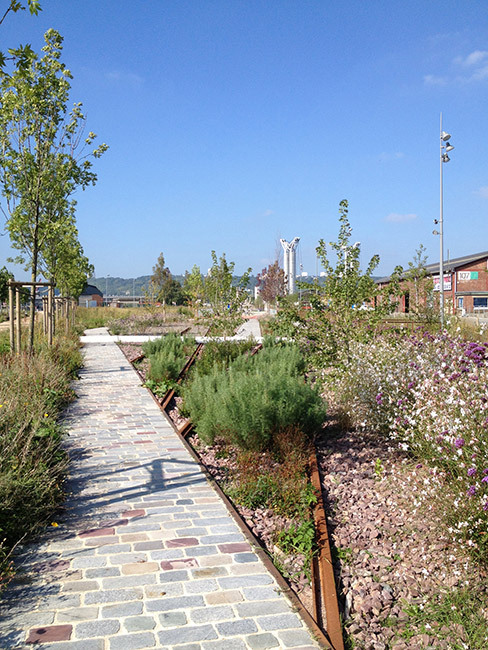 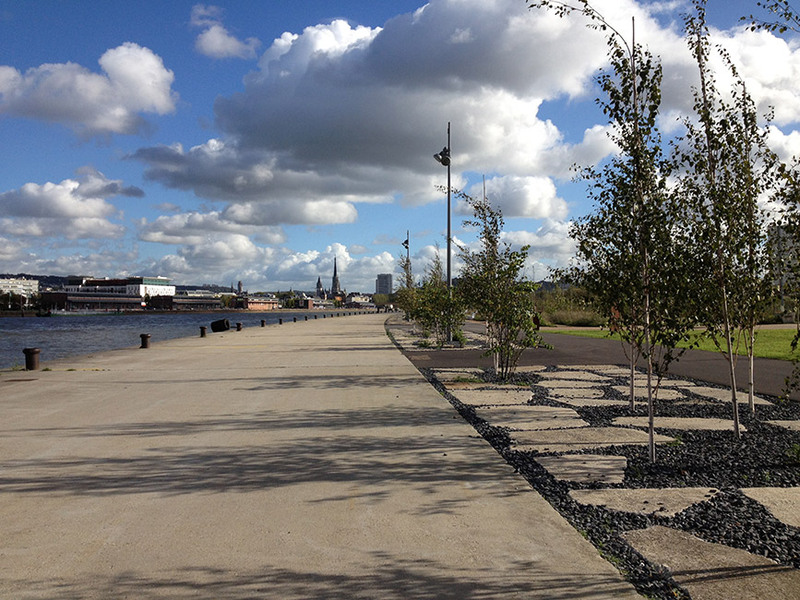 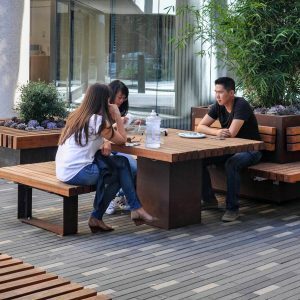 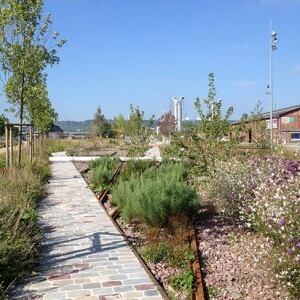 The project reinvents this industrial quays in a contemporary way, integrating a part of the existing raw material (concrete, used paving stones), former railway tracks are embed in the soils or in grass lashes evoking the railway spirit of the site. 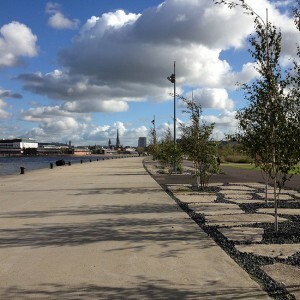 The quays are the ideal place for events, regular or temporary. 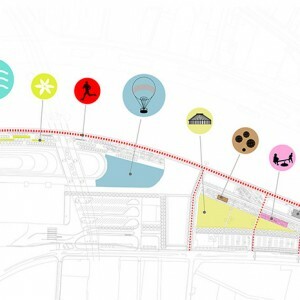 Opened, with large clearances, it’s a space intended to accommodate festivities. 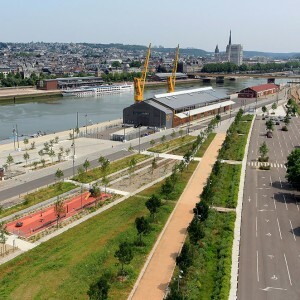 The future construction of a concert hall and of a business incubator is in line with this commitment to the Seine banks recapture. 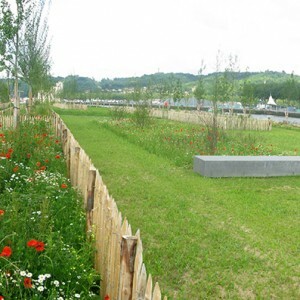 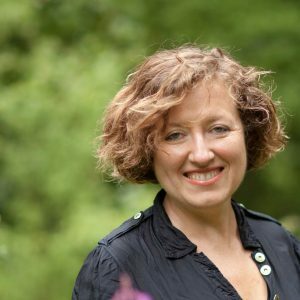 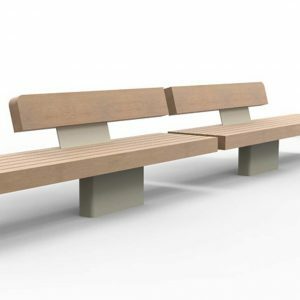 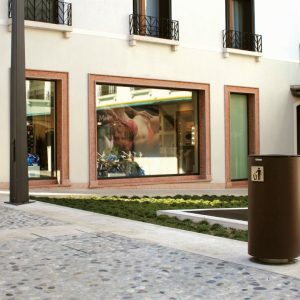 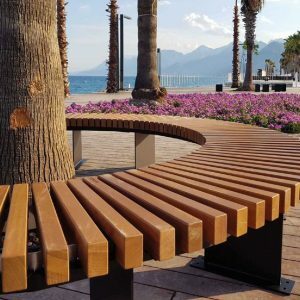 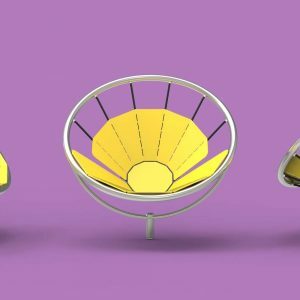 The environmental part proposes the restoration of the natural banks, the planting of 100.000 young plants constituting a forest mound which contains the polluted soil and a rainwater management. 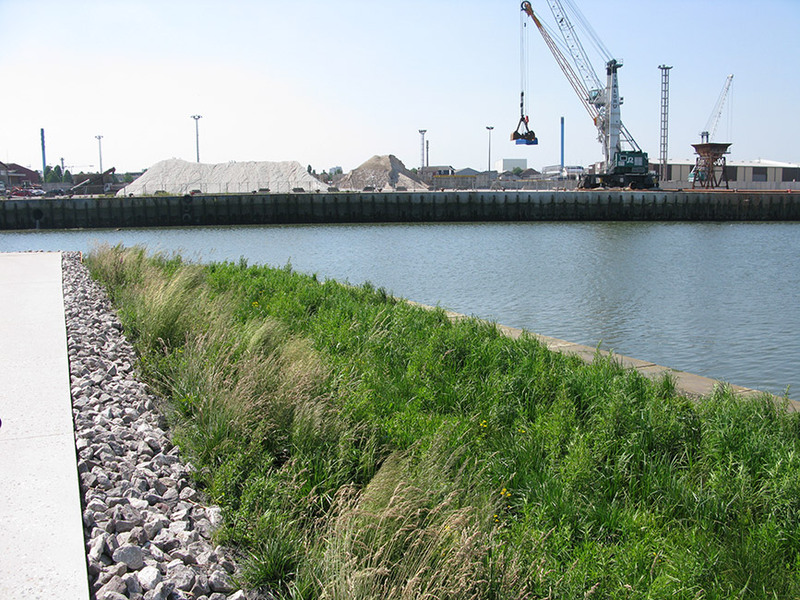 The Rollet peninsula becomes a wild island and, through that, returns to its original shape, suiting to the natural scale of the Seine meander and remains in the marine or port vocabulary. 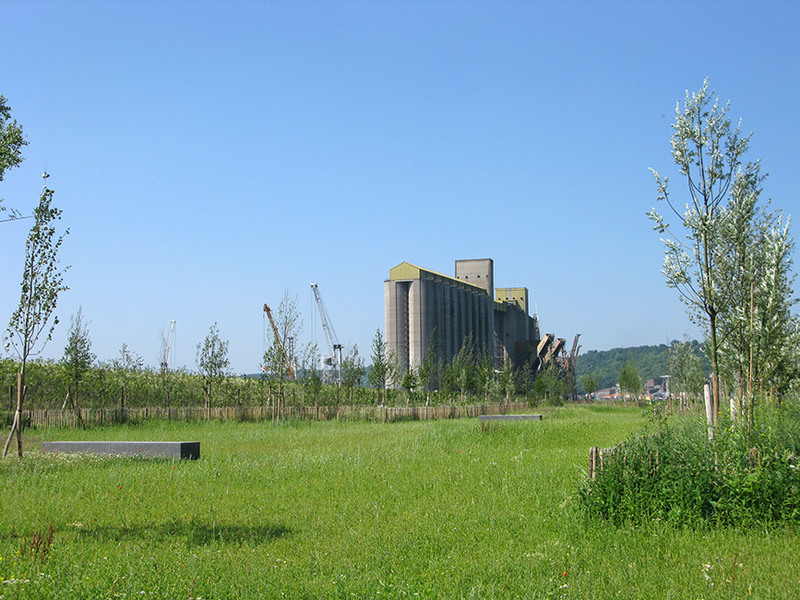 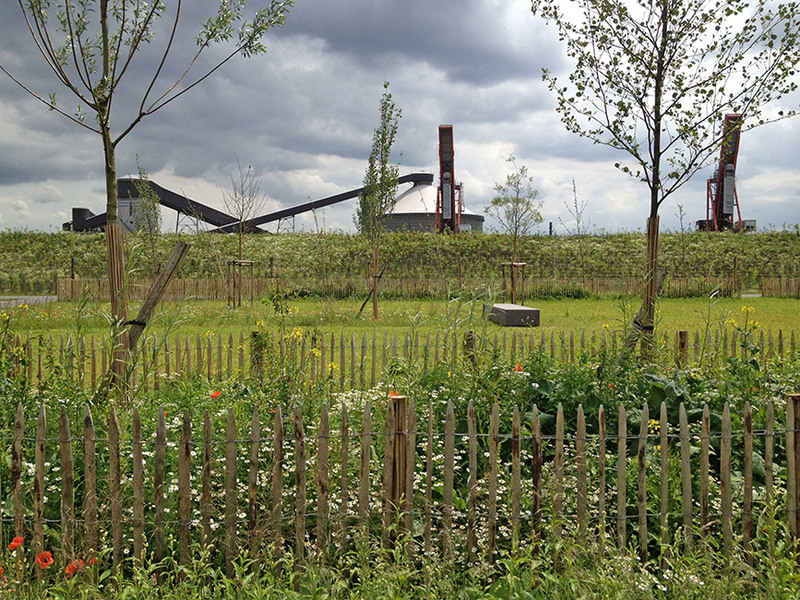 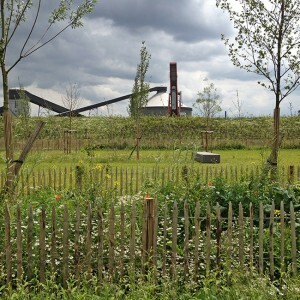 This former platform of coal storage can become a kind of ecological laboratory, a potential environmental workshop. 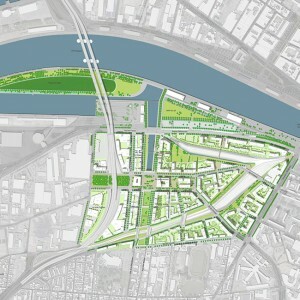 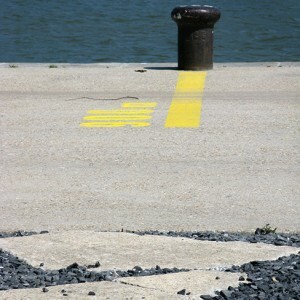 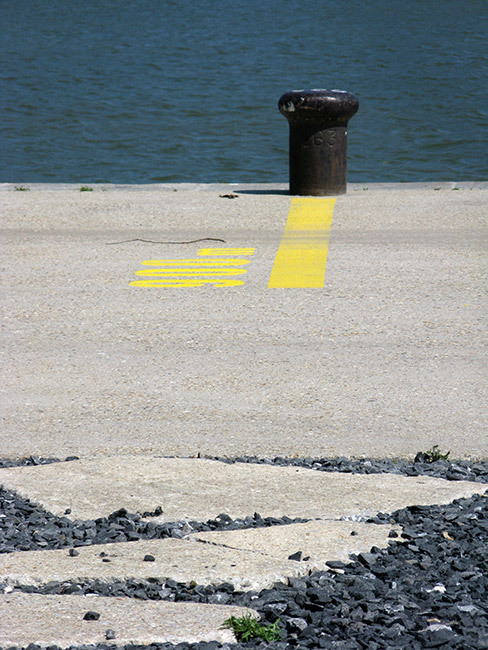 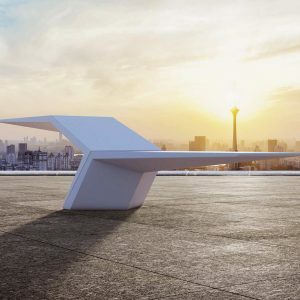 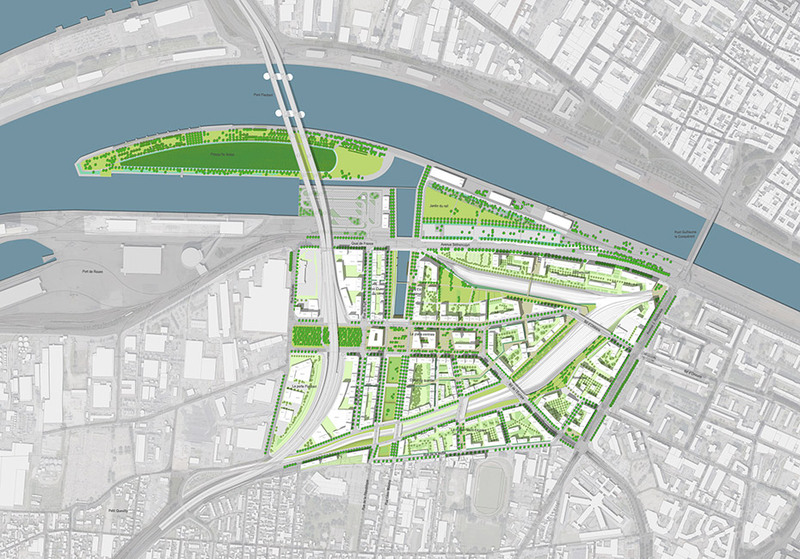 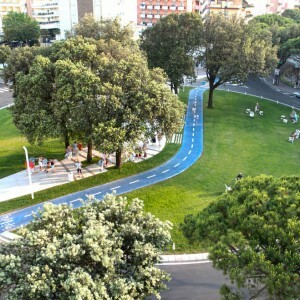 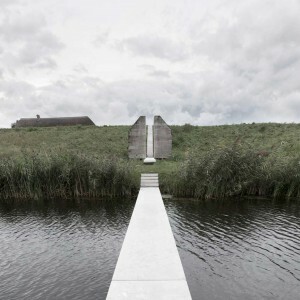 Beyond this « park » function, the project reconciliates the city with its river and initiates the site mutation.